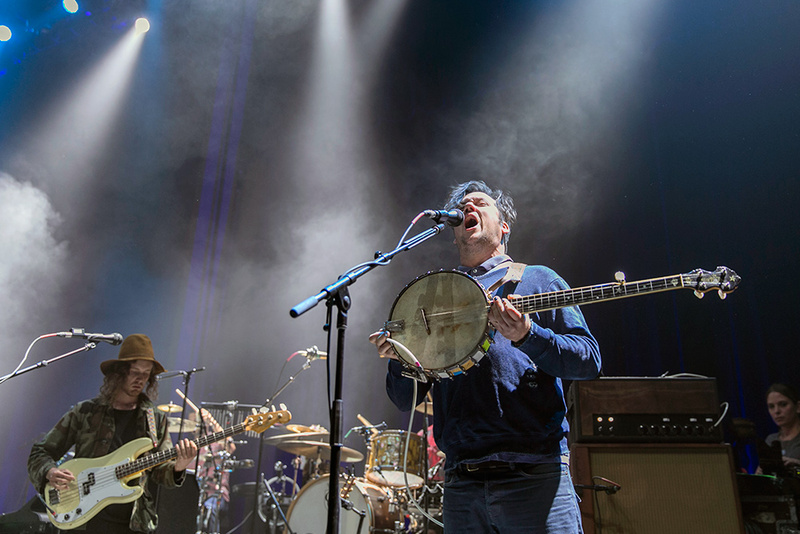 Indie rock stalwarts Modest Mouse have been relatively quiet in the last few years, with only an EP and a couple new live songs since their last full length, 2007’s We Were Dead Before the Ship Even Sank. So it was a pleasant surprise when they announced a run of tour dates this year. Though they began as a trio (with original bassist Eric Judy departing in 2012), the band has swelled to include a second drummer, guitar player, violinist, and a couple of horns. Modest Mouse have been around for 20 years now, and maybe Isaac Brock can’t hit all the high notes anymore, but he doesn’t seem to have lost any energy, enthusiasm, or 90s haircuts. And if you woke up this morning and decided you desperately needed to see almost 50 new Modest Mouse live photos, hey, it’s your lucky day!